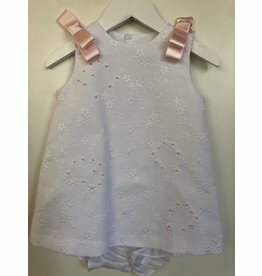 Pique Dress with Pink Bows and Accents with Bloomers. 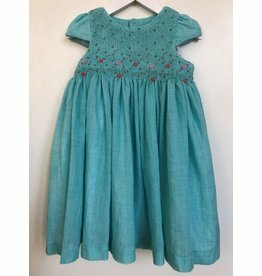 Smocked cap sleeved dress with matching headband. 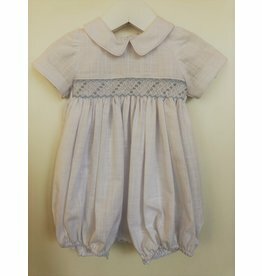 Smocked Dress with Ruffles Collar and Floral Detailing. 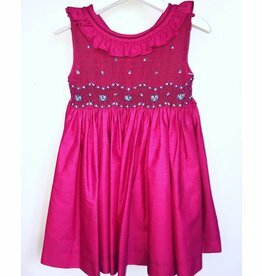 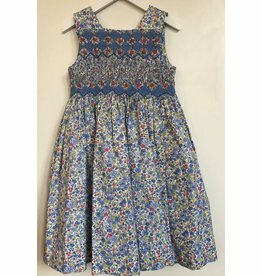 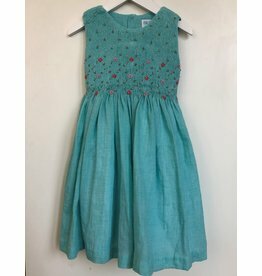 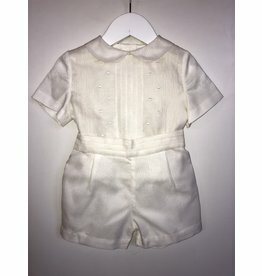 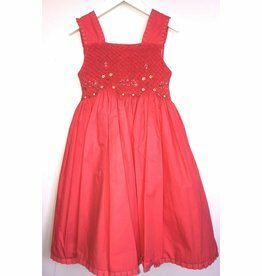 Smocked dress adorned with flowers for girl in size 6 or 7.